Bacon Labs – Jacob Reed. Creative Director. 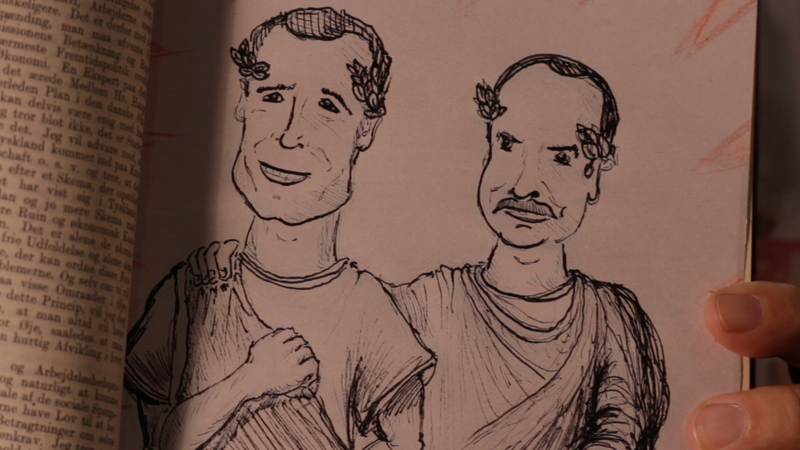 What do you do when your product, which has existed for centuries, suddenly becomes hip? The National Pork Producer’s Council faced that question when bacon everything (cupcakes, cocktails, you name it!) suddenly became a trend. The conversation was already happening, but “Big Bacon” needed to capitalize on it and guide it. They asked my agency, Ogmog, to put together a video strategy that could serve as a anchor point for a larger social strategy. 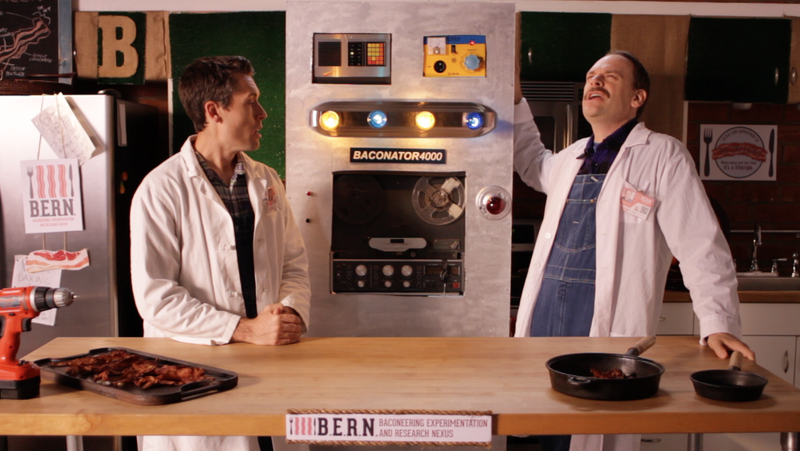 After thinking about all of the new bacon ideas that were cooking up all over the place – we drew inspiration from the old Muppet Labs segment of The Muppet Show and developed the Bacon Labs at B.E.R.N. 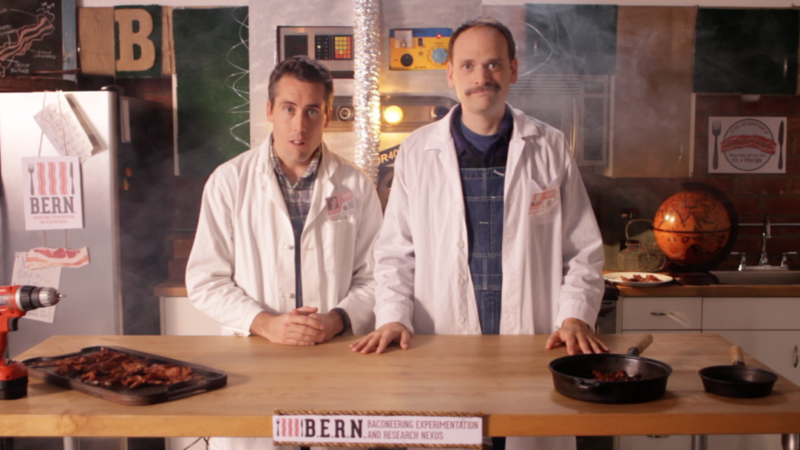 (The Bacon Experimentation and Research Nexus). 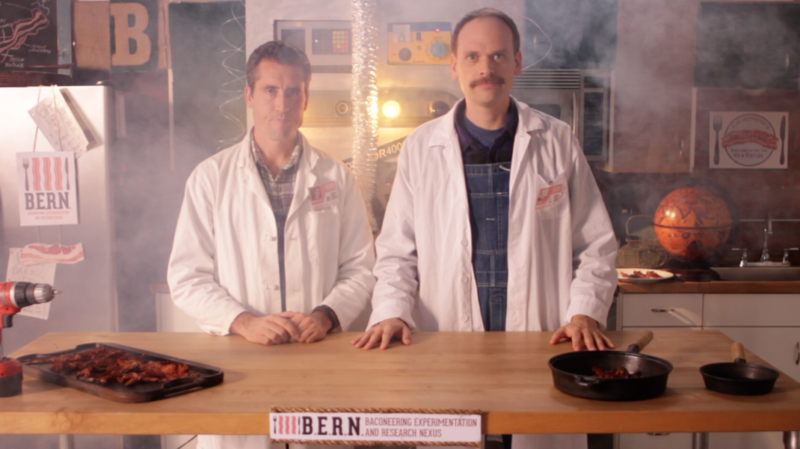 At Bacon Labs, anything can happen, there’s always an experiment, and excitement is palpable… even if it means things are about to go off the rails. 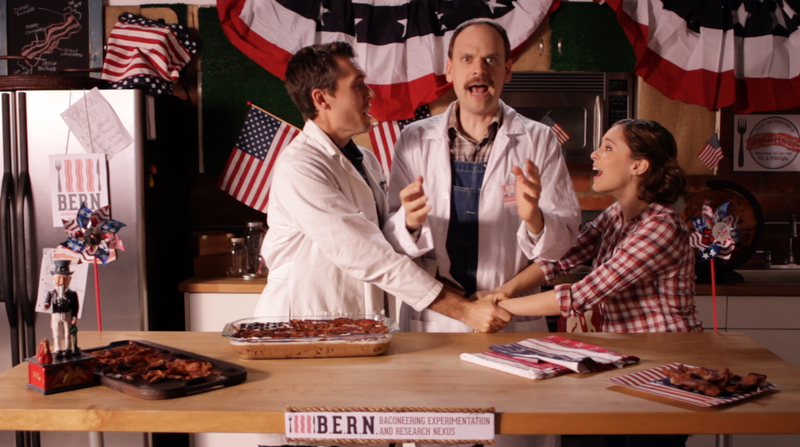 We cast two up-and-coming comedic actors from the midwest to represent the heartland. The fourth spot also features future Golden Globe winner, Rachel Bloom (Crazy Ex-Girlfriend). 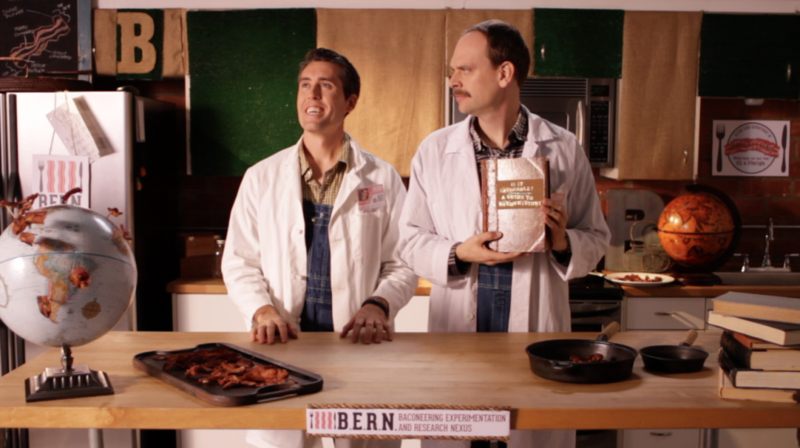 To extend the conversation, we also created supplemental vlogs from Sarah, an intern for the fictional Bacon Labs. Each vlog discussed a current event, set up or reacted to one of our four tent-pole videos, or encouraged viewers to join Baconeering.com in some other way. As a result of these videos, the NPPC saw sign-ups to their mailing list increase, giving them a captive audience of Bacon aficionados. When possible, I work with directors to cast actors I know through my involvement with the Upright Citizens Brigade. For this series, we cast three (then) up-and-comers who have since become more in demand: Mike McLendon (Comedy Bang Bang), Dave Theune (Brooklyn Nine-Nine), and future Golden Globe winner Rachel Bloom (Crazy Ex-Girlfriend). Since all three were in mind from the initial concept phase, we were able to write specifically to their voices and strengths. To support the four tent-pole videos, we also filmed a series of bi-weekly vlogs that fed into the main video storylines. Released on Mondays and Wednesdays, a total of 28 vlogs were produced – bringing the total video assets to 32.